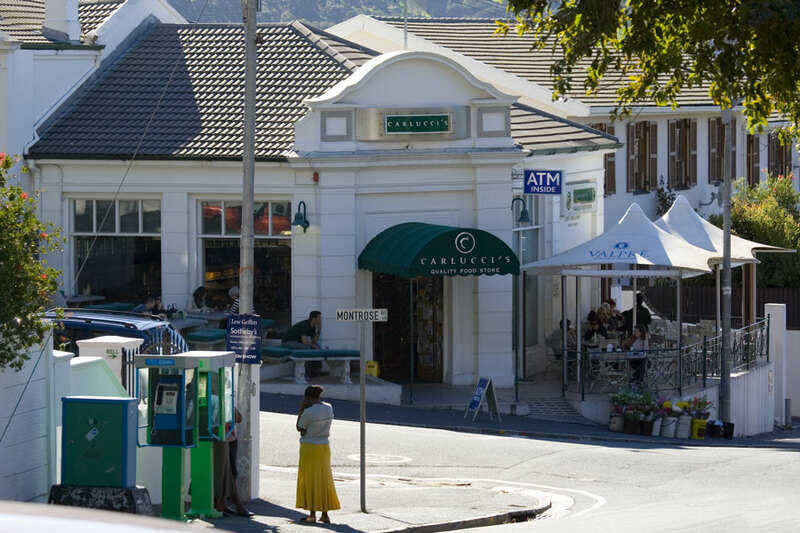 I dropped Kerry-Anne off at the Cape Town Book Fair at the Convention Centre this afternoon and then took a drive up into the suburb of Oranjezicht, just above Cape Town city centre. Oranjezicht, a Dutch word meaning "View of Orange", lies at the foot of Table Mountain, where property prices are at a premium. On pristine days like today the suburb boasts superb views of Cape Town and Table Bay. Posted in General on Saturday, 16 June, 2007 by Paul.